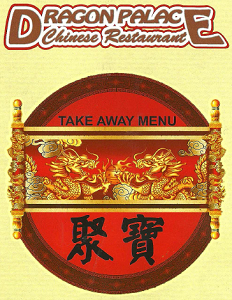 Dragon Palace specialising in Chinese and European Cusine. 91 Irishtown, Clonmel, Co Tipperary. A party of four of us visited this restaurant and I can honestly say we won’t be paying a return visit. After we were shown to our table, we were left sitting there for about ten minutes before the menus were brought to us at which time a bowl of prawn crackers were also placed on the table. Three of us ordered curries with fried rice and I odered mine with boiled rice. The service was very slow but eventually there was a warm plate put in front of each of us which needless to say had gone cold by the time the curries arrived. Minutes later, the fried rice was served but no sign of any boiled rice. We waited, and waited, and waited and when a waitress approached and asked if everything was okay, we asked about the boiled rice. She told us the rice was on it’s way. It wasn’t that they were busy on the night because for the most part, the staff were standing in the middile of the floor chatting to each other. Fifteen minutes later the rice arrived at which stage the other three in our party were almost finished their meal. Not wanting to delay them, I ate some of my meal and requested the remainder to be boxed so that I could take it home. Well it was no surprise to find that when I got home and opened the boxed food, there was no rice with it. The night was a total disaster and we all agreed that the food wasn’t great and neither was the staff. Love Dragon Palace each year make it a point to eat there! Food is Fabu, staff wonderful nothing like that in Boston! Dragon Palace has become our “go to” place for almost every occasion. It’s excellent. The food is gorgeous with really generous helpings and very reasonably priced. The service too is excellent. By far the best restaurant in Clonmel. Highly recommend. By far the best Chinese resturant in Clonmel. The satay is delicious.